With Children of Bodom hitting their 22nd year of existence as a band, it would be pretty easy, especially on the curmudgeon-friendly Internet, to accuse them of losing their fire -- all the more so with the recent departure of rhythm guitarist Roope Latvala, leaving Alexi Laiho with the responsibility for all the guitars. But while I Worship Chaos doesn't have quite the freshness that Hatebreeder brought to the listener in the old days, it's an album with few faults. Part of this is the band's years of experience combined with Laiho's fantastic axe technique, which could redeem a much worse album than this one. But plenty of bands have had outstanding guitarists and experienced members and still produced later albums that were unlistenable garbage through tiredness, laziness, or misplaced ambition; I Worship Chaos succeeds by sticking as much as possible to the core of the sound listeners enjoyed and refusing to stray from it. Walking into this, I felt at first that the rhythm riffs weren't quite as strong as when Latvala was around, but after a few minutes I decided that it was a mistaken impression caused by the first track, which is one of the weakest and rather forgettable. My Bodom (I Am the Only One) allays any such fears completely; the chemistry between Laiho and keyboardist Janne Warman shines on the track in the excellent guitar/keyboard duels in the last couple of minutes on the track. Morrigan, one of my favorites, is good for a different reason; the rolling, chugging chords go slower than most Children of Bodom songs, but it has a much more melodic flair to it, with Laiho's guitar leads creeping sinuously around the main riffs and hanging off the keyboard like a serpent from a tree. There are more extreme-metal-style drumming patterns than before, though they don't seem to be integrated into the overall sound and seem more like they're done for effect, usually in passages at the beginning of the songs. The headlong, chaotic sensation of the Children of Bodom sound, however, is still an integral piece; just as in earlier albums, on the faster songs (and most of them are fast) there's a feeling like each individual musician is barely restraining himself from thrashing uncontrollably off on his own. One thing that keeps this album enjoyable through its entirety, and what I suspect might be off-putting to some listeners at times, is the casual nature of the album. 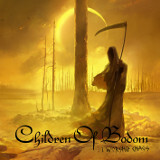 Children of Bodom has always willing to do something ridiculous (Britney Spears covers, anyone?) seemingly just for the sake of pulling it off -- rather than as a gimmick --, and here the impression is still one of an offbeat band playing something as much for their entertainment as the listener's own. Laiho's shouting of the lyrics of Hold Your Tongue sounds great, but he doesn't sound as angry as the lyrics are when just reading them -- he sounds like he's having fun. I liked that one a lot; it's got a rougher break between verse and prechorus than the band normally allows themselves, as well as another high-quality Laiho/Warman solo duel. I'm not sure if I Worship Chaos will change a lot of minds in terms of the way people see the band, but I certainly liked this one better than the last two; for one thing, a few of this album's melodies succeeded in sticking in my head, something that hasn't happened in a while. Anyone who isn't pinning his hopes on the return of Hatebreeder, and just wants a Children of Bodom album with some good new tunes, is unlikely to be disappointed.